When Windows Phone 7 first came out, I immediately started looking to use the new development tools to create an application. Pokémon Black and White were out around the same time, so I figured creating a Pokédex-like application would be a good idea. 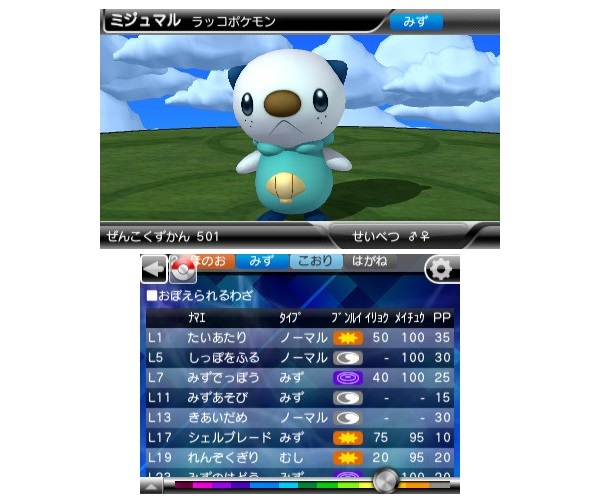 Unfortunately, not much over a year later The Pokémon Company International went after a number of the Pokémon apps for iOS, Android and Windows Phone. They asked Apple, Google and Microsoft to remove the offending applications from their respective stores. My app was included*. The Pokédex app for iOS has a different focus from my app, aiming directly at listing out all the information rather than focusing on checking off the list (though you can use it this way using tagging). 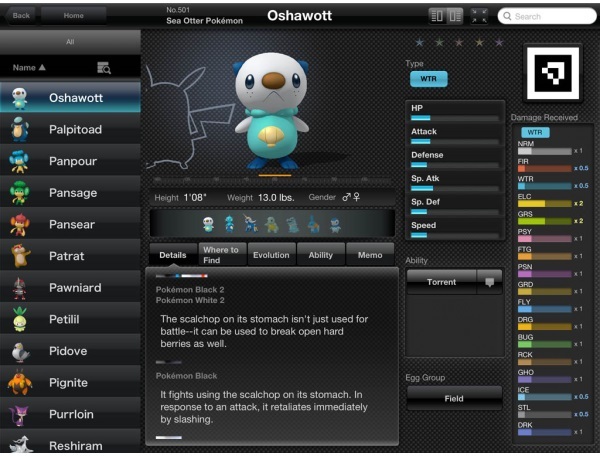 This is great, as the information contained in the application far outweighs the data I managed to collect for use in Pokéject. Including some rather cool 3D models. Personally, I believe the 3DS version to be a lot weaker – the user interface is pretty horrible looking, and I found it a lot harder to navigate. The biggest complaint is the lack of ‘multi-tasking’ on the 3DS. I would like to be able to check off my Pokédex as I play my game. This isn’t possible when both are applications on the same machine. I thought about reviving Pokéject as web application, going as far as porting a large amount of the source code over to ASP.NET – however I recently started using the iOS version – which contains much more data – and decided it would not be worth the time investment. So this is the end of the Pokéject project. It’s been fun, but the official versions contain way more information, I suggest people use them moving forward. 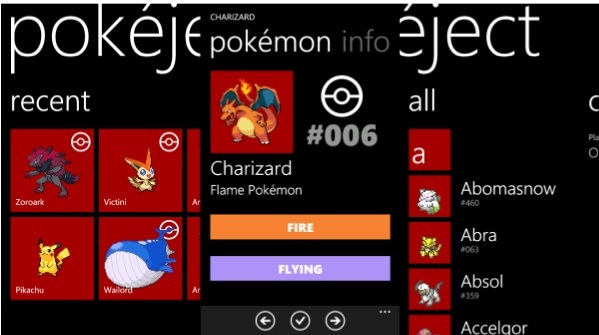 * A recent check shows that there are still a number of Pokédex apps in the Windows Phone store, though the most popular and best presented ones were removed long ago. Sad times :( Still keeping my Pokeject around though! Such a shame, but now you can concentrate on the important stuff… Finishing your collection of Pokémon! Woohoo!